This is a lego games ppt powerpoint presentation summary skills. This is a three stage process. The stages in this process are lego, games, play, planning, strategy. 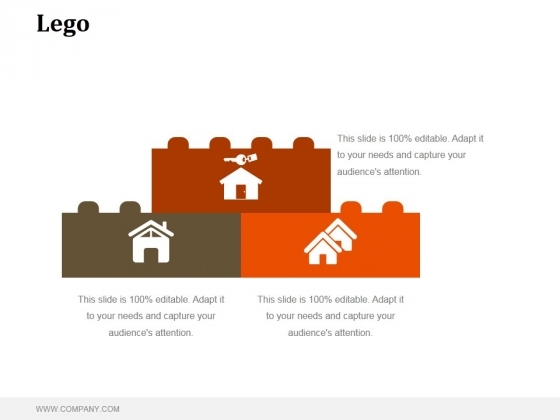 Be a loyal friend with our Lego Games Ppt PowerPoint Presentation Summary Skills. Look after the interest of your colleagues. 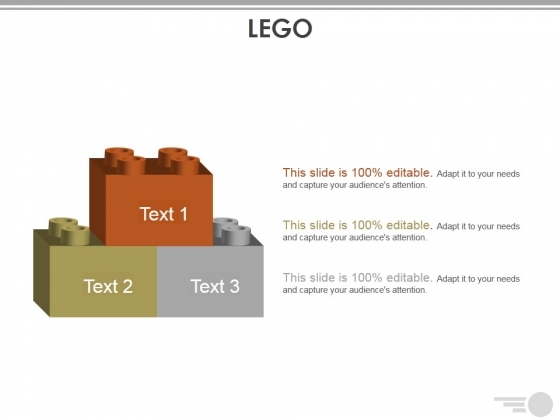 This is a lego ppt powerpoint presentation outline slide download. This is a three stage process. The stages in this process are lego, process, business, marketing, management. The loyal feel their devotion has been acknowledged due to our Lego Ppt PowerPoint Presentation Outline Slide Download. They acquire a feeling of fulfilment. This is a lego ppt powerpoint presentation pictures format ideas. This is a three stage process. The stages in this process are lego, business, management, strategy, marketing. Your audience deserves the absolute best. 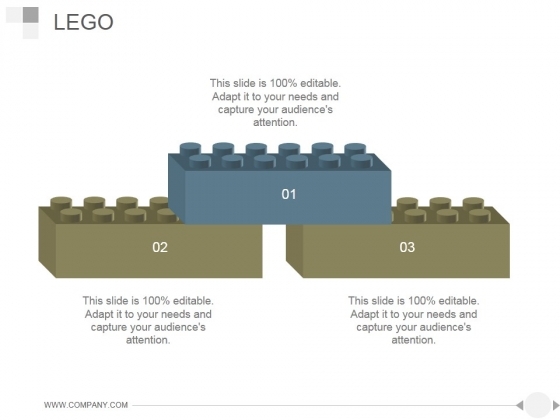 Give them better than that with our Lego Ppt PowerPoint Presentation Pictures Format Ideas. This is a lego ppt powerpoint presentation file guidelines. This is a three stage process. The stages in this process are lego, process, business, marketing, management. 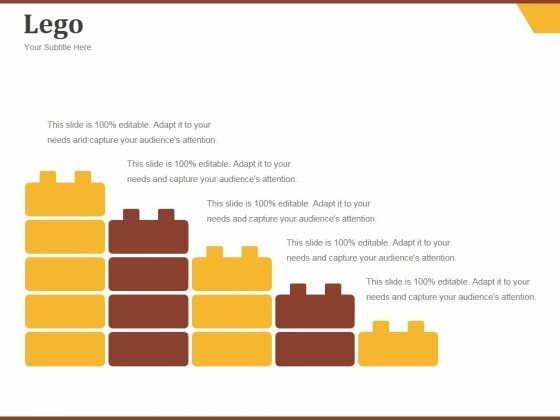 Scale peaks with our Lego Ppt PowerPoint Presentation File Guidelines. You will come out on top. This is a lego ppt powerpoint presentation icon graphics. This is a three stage process. The stages in this process are lego, process, plan, management, business. Achievement deserves admiration. 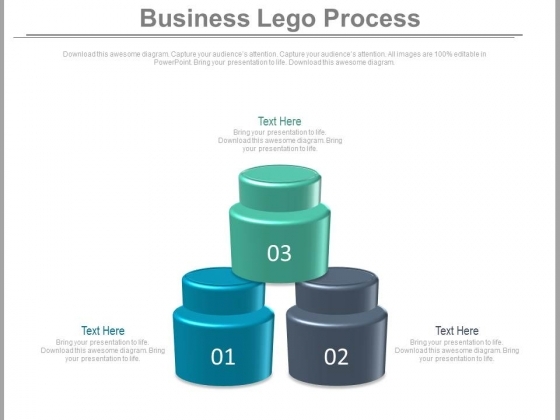 Acquire due accolades with our Lego Ppt PowerPoint Presentation Icon Graphics. 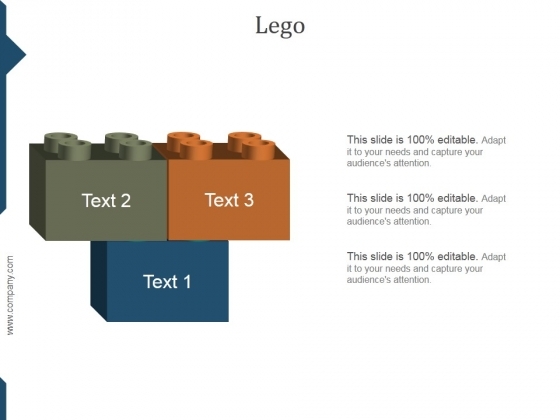 This is a lego ppt powerpoint presentation professional master slide. This is a three stage process. The stages in this process are lego, sports, business, marketing. 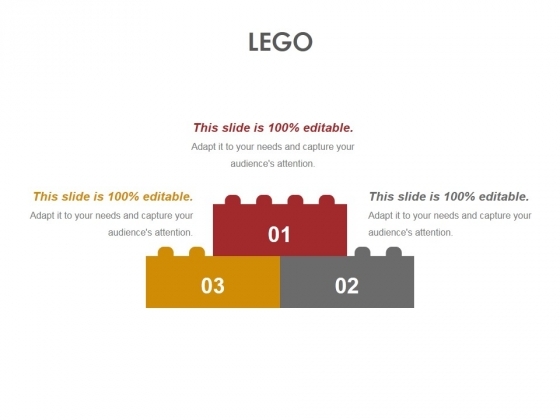 Get fashionable with our Lego Ppt PowerPoint Presentation Professional Master Slide. Whatever you display will be in. This is a lego ppt powerpoint presentation model professional. This is a three stage process. The stages in this process are lego, sports, icons, marketing, strategy, business. Create a blueprint for your factory. Arrive at an apt design with our Lego Ppt PowerPoint Presentation Model Professional. This is a lego ppt powerpoint presentation layouts format. This is a three stage process. The stages in this process are lego, game, marketing, strategy, analysis, business. 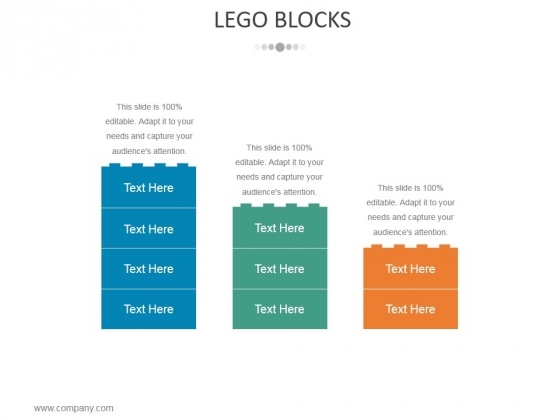 Breathe easy with our Lego Ppt PowerPoint Presentation Layouts Format. Maintain a steady rate of thought. This is a lego ppt powerpoint presentation visual aids layouts. This is a three stage process. The stages in this process are lego, business, marketing, management, planning. Get known for being loyal due to our Lego Ppt PowerPoint Presentation Visual Aids Layouts. Impress folks by fulfilling commitments. 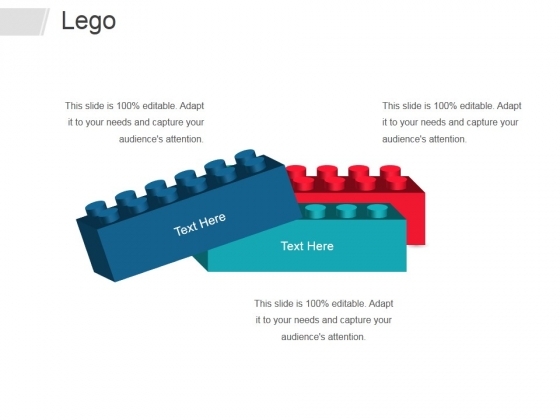 This is a lego ppt powerpoint presentation pictures infographic template. This is a three stage process. The stages in this process are lego, business, marketing, management. 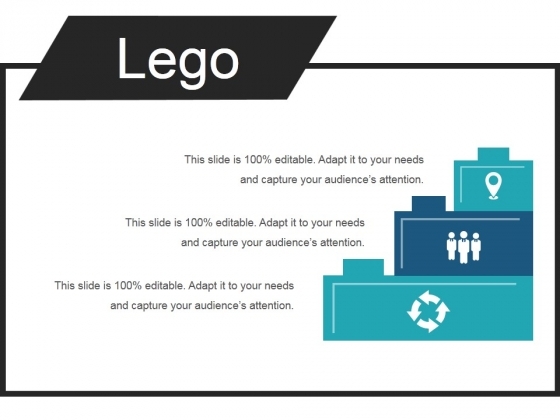 Give a huge fillip to their hopes with our Lego Ppt PowerPoint Presentation Pictures Infographic Template. Buck up anyone feeling low. 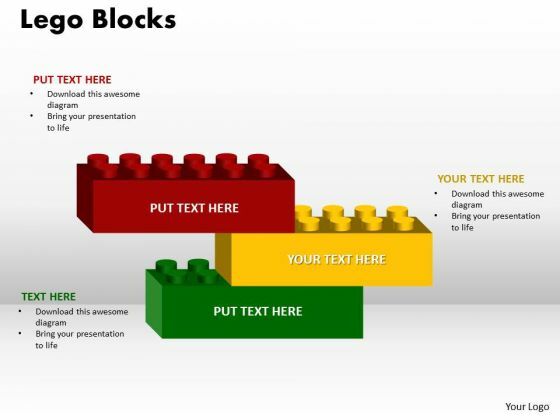 This is a lego ppt powerpoint presentation ideas aids. This is a three stage process. The stages in this process are lego, block, game, child, play. Exhibit high fibre with our Lego Ppt PowerPoint Presentation Ideas Aids. They display your fearless character. 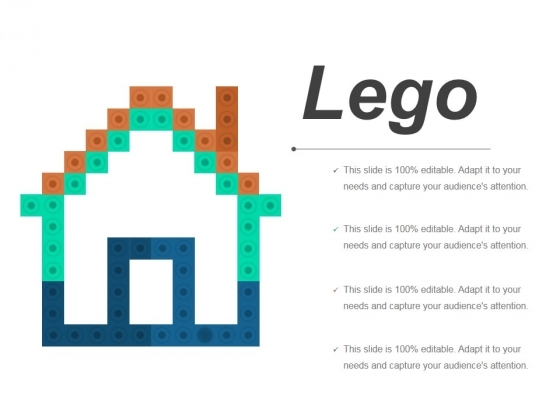 This is a lego ppt powerpoint presentation portfolio graphics example. This is a three stage process. The stages in this process are lego, business, marketing, process, success. Capture emerging international markets with our Lego Ppt PowerPoint Presentation Portfolio Graphics Example. They will make you look good. 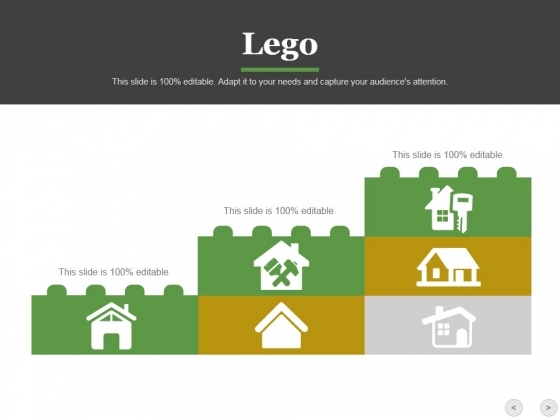 This is a lego ppt powerpoint presentation file infographic template. This is a three stage process. The stages in this process are lego, business, management, planning, strategy, marketing. 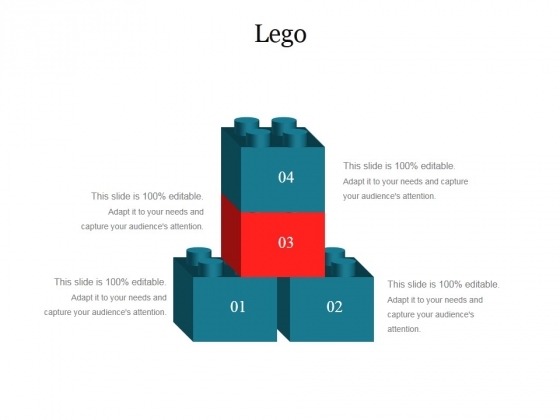 Use our Lego Ppt PowerPoint Presentation File Infographic Template as an experimental tool. Try them out to get the correct effect. This is a lego ppt powerpoint presentation layouts topics. This is a three stage process. The stages in this process are business, marketing, game, development, block. 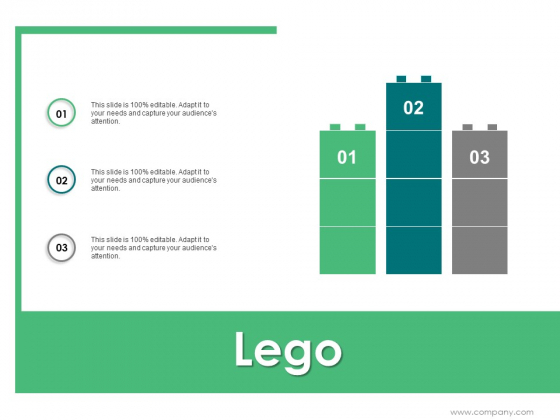 Establish your credentials with our Lego Ppt PowerPoint Presentation Layouts Topics. They give you an air of authority. This is a lego ppt powerpoint presentation pictures background image. This is a three stage process. The stages in this process are lego, business, technology, marketing, management. Our Lego Ppt PowerPoint Presentation Pictures Background Image ignite feelings of devotion. Folks begin to demonstrate loyalty. This is a lego ppt powerpoint presentation pictures topics. This is a three stage process. The stages in this process are lego, strategy, management, planning, marketing. With our Lego Ppt PowerPoint Presentation Pictures Topics success is a fait accompli. Bet your bottom dollar that it will happen. This is a lego ppt powerpoint presentation inspiration gallery. This is a three stage process. The stages in this process are lego, strategy, planning, business, management, marketing. 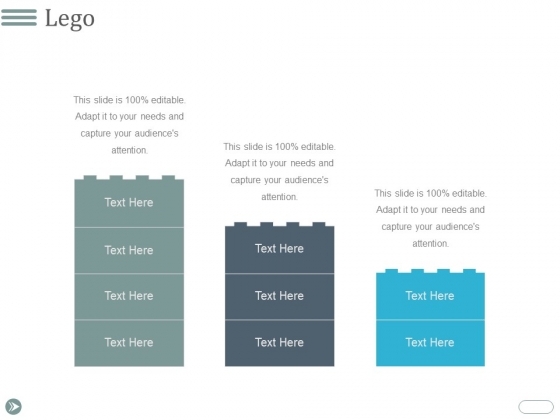 Fade in our Lego Ppt PowerPoint Presentation Inspiration Gallery with your thoughts. Your ideas will sound even better. This is a lego ppt powerpoint presentation file images. This is a three stage process. The stages in this process are lego, game, marketing, business. Our Lego Ppt Powerpoint Presentation File Images cater for different factions. They assist in finding common ground. 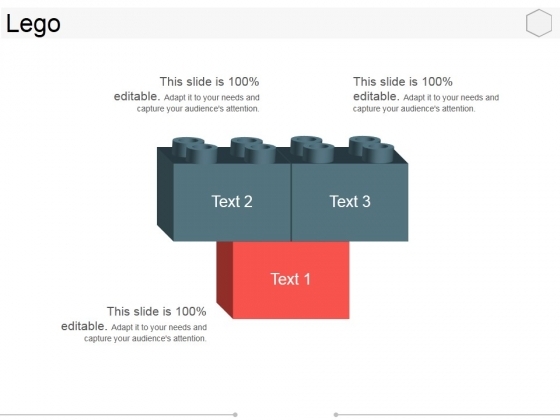 This is a lego blocks ppt powerpoint presentation outline graphics template. This is a three stage process. The stages in this process are business, strategy, marketing, analysis, lego. 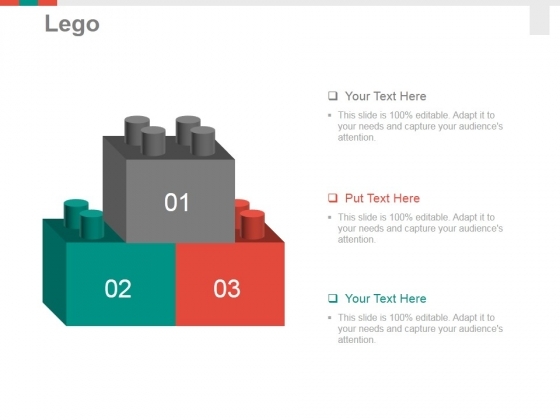 Our Lego Blocks Ppt PowerPoint Presentation Outline Graphics Template have more than what meets the eye. They contain additional dimensions. This is a lego ppt powerpoint presentation model model. This is a three stage process. The stages in this process are business, marketing, game, development, block. Get to know how to find intricate details with our Lego Ppt PowerPoint Presentation Model Model. It helps you look high and low. This is a lego ppt powerpoint presentation inspiration example introduction. This is a three stage process. The stages in this process are lego, marketing, analysis, strategy, business. 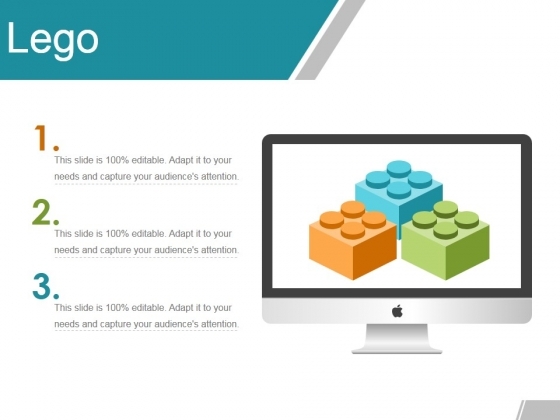 Get guaranteed success with our Lego Ppt PowerPoint Presentation Inspiration Example Introduction. Dont waste time struggling with PowerPoint. Let us do it for you. This is a lego ppt powerpoint presentation gallery clipart images. This is a three stage process. The stages in this process are lego, game, marketing, business. Get a firm grip on the dialogue with our Lego Ppt PowerPoint Presentation Gallery Clipart Images. Try us out and see what a difference our templates make. 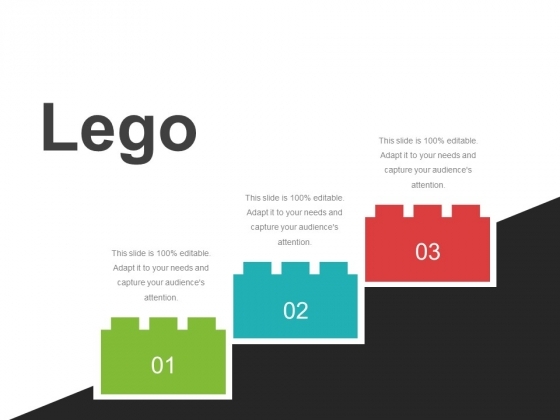 This is a lego ppt powerpoint presentation infographic template master slide. This is a three stage process. The stages in this process are lego, business, marketing, success, process. Give credit where its due. Just download, type and present. This is a lego ppt powerpoint presentation layouts layout ideas. This is a three stage process. The stages in this process are business, strategy, analysis, success, lego. Get on the list of audience favourites. 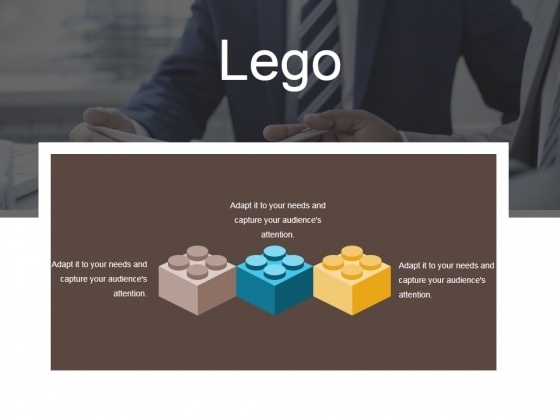 Experience adulation with our Lego Ppt PowerPoint Presentation Layouts Layout Ideas. This is a lego ppt powerpoint presentation layouts ideas. This is a three stage process. The stages in this process are lego, game, management, marketing. 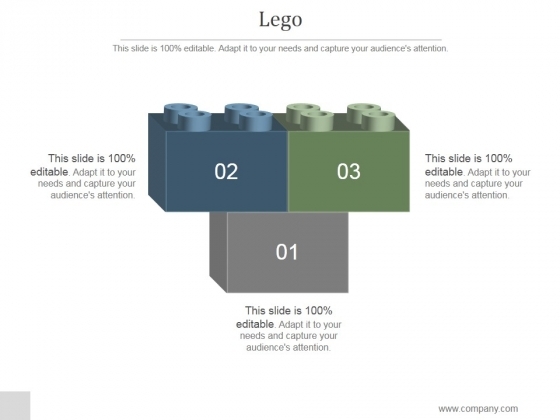 Our Lego Ppt PowerPoint Presentation Layouts Ideas are truly fair minded. They take all arguments into account. This is a lego ppt powerpoint presentation inspiration clipart images. This is a three stage process. The stages in this process are lego, icons, strategy, management. The earth is facing an energy crisis. Contribute to the answers with our Lego Ppt PowerPoint Presentation Inspiration Clipart Images. 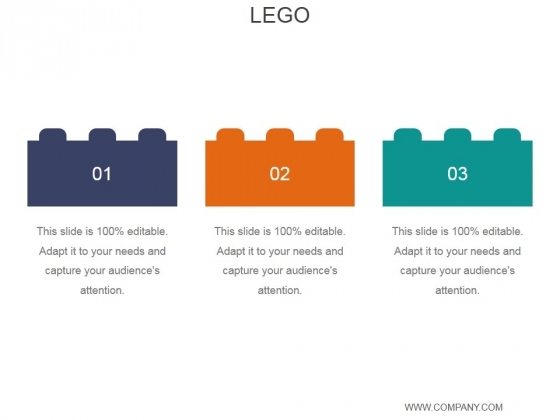 This is a lego ppt powerpoint presentation icon good. This is a three stage process. The stages in this process are lego, game, marketing, management. Our Lego Ppt PowerPoint Presentation Icon Good will go on till blue in the face. They will keep at it till you achieve your aim. This is a lego ppt powerpoint presentation sample. This is a three stage process. The stages in this process are business, marketing, analysis, strategy, lego. 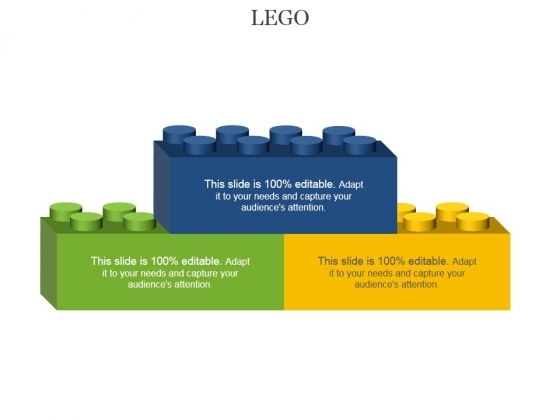 Examine the deal for any flaws with our Lego Ppt PowerPoint Presentation Sample. Be able to look for loopholes. This is a lego ppt powerpoint presentation example. This is a three stage process. The stages in this process are business, strategy, analysis, marketing, lego. 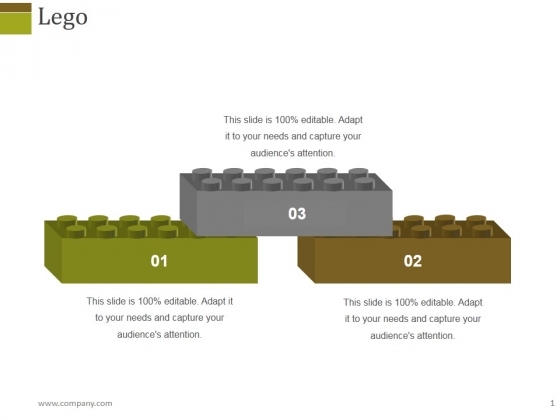 Our Lego Ppt PowerPoint Presentation Example are definitely new age. Ring in overdue changes with your ideas. This is a lego block ppt powerpoint presentation files. This is a three stage process. The stages in this process are business, strategy, marketing, analysis, lego. 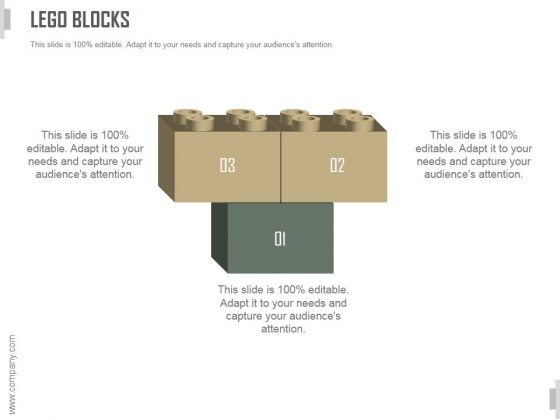 Boost your chances with our Lego Block Ppt PowerPoint Presentation Files. They will help further your plans. This is a lego ppt powerpoint presentation example file. This is a three stage process. The stages in this process are marketing, strategy, business, lego, management. Deal with explosive issues in a calm manner. 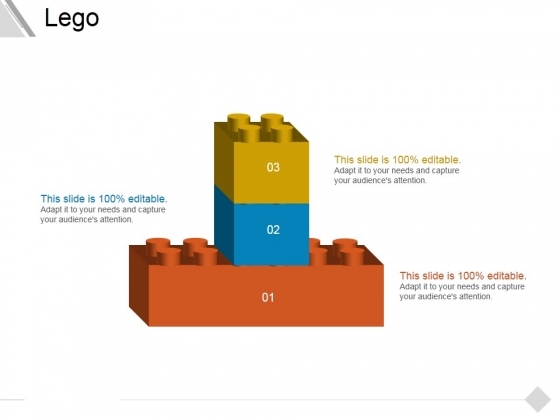 Apply the balm with our Lego Ppt PowerPoint Presentation Example File. This is a lego ppt powerpoint presentation background image. This is a three stage process. The stages in this process are lego, game, strategy, planning, management. 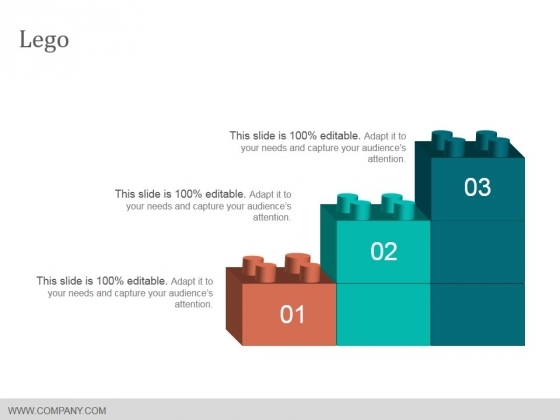 Give folks the leeway to break loose with our Lego Ppt PowerPoint Presentation Background Image. Be able to alter the convention. 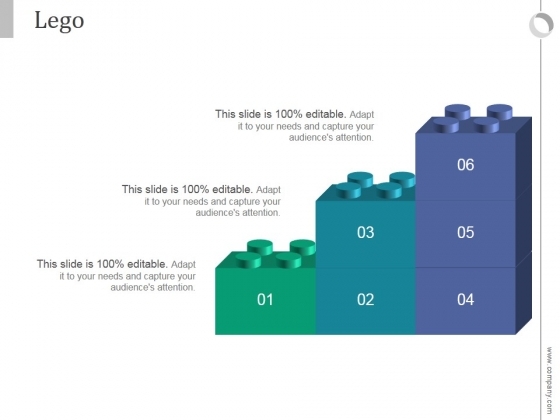 This is a lego ppt powerpoint presentation deck. This is a three stage process. The stages in this process are business, marketing, success, management, lego. 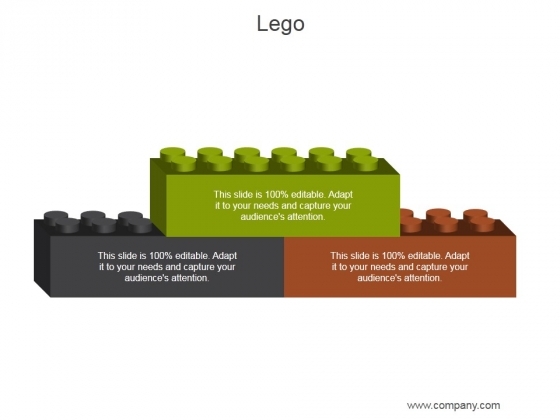 Handle the highs and lows with our Lego Ppt PowerPoint Presentation Deck. Display equanimity in all conditions. 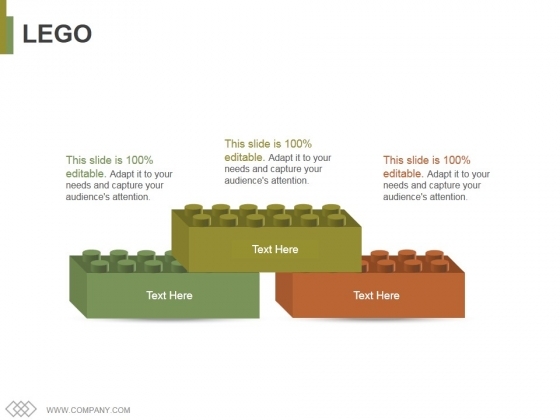 This is a lego blocks ppt powerpoint presentation introduction. This is a three stage process. The stages in this process are business, strategy, marketing, lego, analysis. 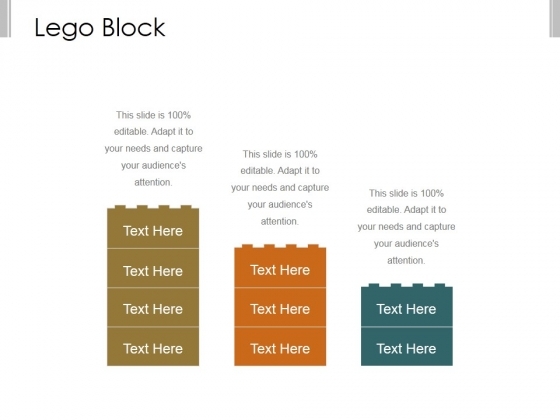 Bask in the attention our Lego Blocks Ppt PowerPoint Presentation Introduction attract. Their excellence will rub off on you. This is a lego ppt powerpoint presentation gallery. This is a three stage process. The stages in this process are lego, business, marketing, play, game. Our Lego Ppt PowerPoint Presentation Gallery are empowering agents. Your thoughts will create the correct chemistry. 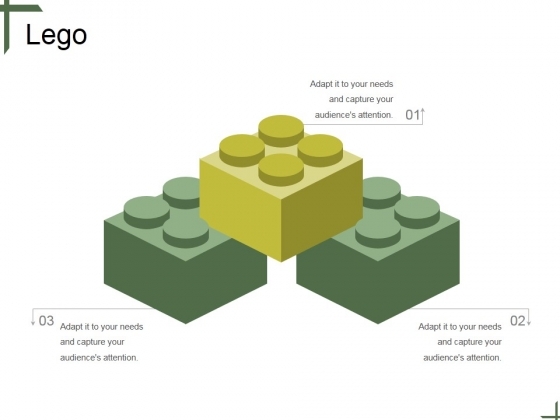 This is a lego ppt powerpoint presentation diagrams. This is a three stage process. The stages in this process are lego, marketing, strategy, management, business, analysis. 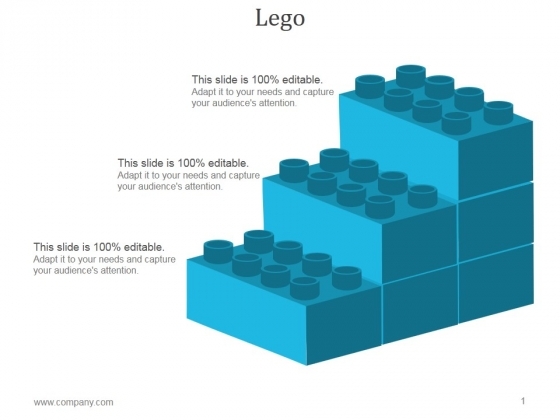 Keep them attentive with our Lego Ppt PowerPoint Presentation Diagrams. Ensure your ideas are easilyabsorbed. This is a lego ppt powerpoint presentation good. This is a three stage process. The stages in this process are lego, business, marketing, strategy, success, game. Convince the audience of the feasibility of your ideas. Ensure comprehension with our Lego Ppt PowerPoint Presentation Good. This is a lego ppt powerpoint presentation information. This is a three stage process. The stages in this process are business, marketing, planning, lego, management. 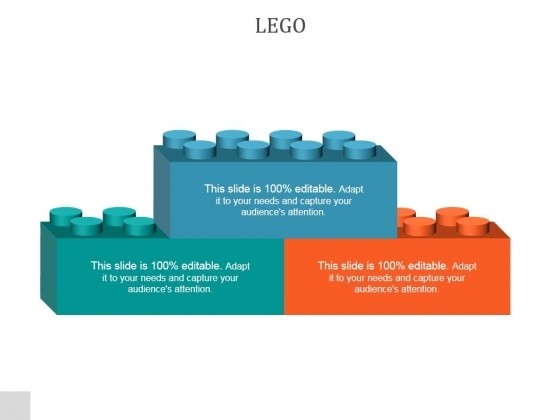 Adorn your thoughts with our Lego Ppt PowerPoint Presentation Information. They will always remain in fashion. This is a lego ppt powerpoint presentation layout. This is a three stage process. The stages in this process are lego, game, business, management, marketing. 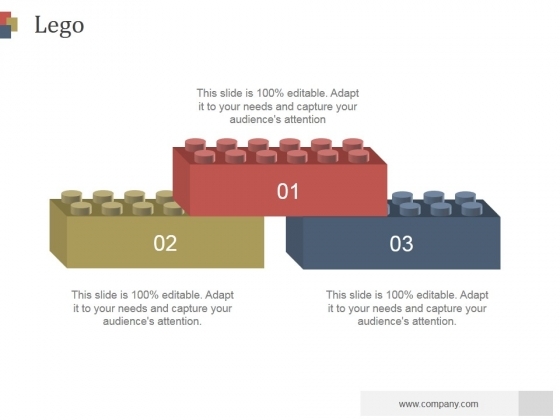 Exhilirate your audience with our Lego Ppt PowerPoint Presentation Layout. Entertain them in your characteristic way. This is a lego ppt powerpoint presentation ideas. This is a three stage process. The stages in this process are business, strategy, marketing, management, lego. Make an exhibition characteristic of you. 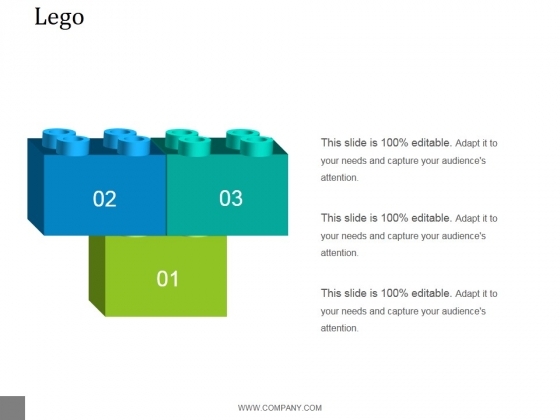 Display your effectiveness on our Lego Ppt PowerPoint Presentation Ideas. This is a lego ppt powerpoint presentation slides. This is a three stage process. The stages in this process are logo, business, marketing, management, analysis. 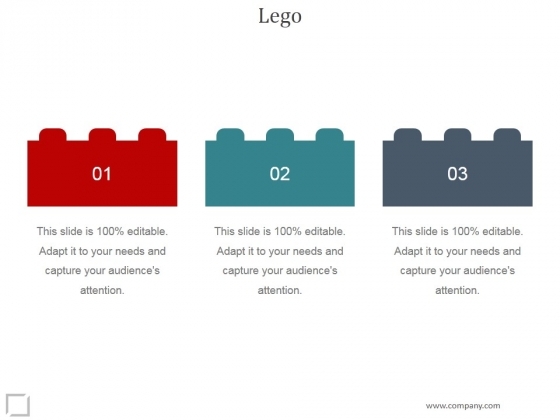 Our Lego Ppt PowerPoint Presentation Slides have an extraordinary presence. They tend to have an 'out- of- this- world' effect. 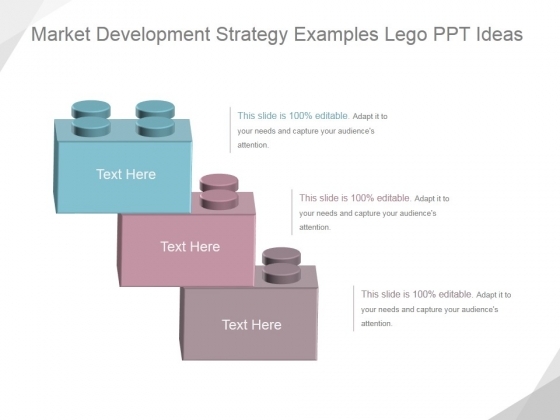 This is a market development strategy examples lego ppt powerpoint presentation guidelines. This is a three stage process. The stages in this process are business, marketing, strategy, lego, ideas. Enjoy increased incomes due to our Market Development Strategy Examples Lego Ppt PowerPoint Presentation Guidelines. Add to your earning capacity. 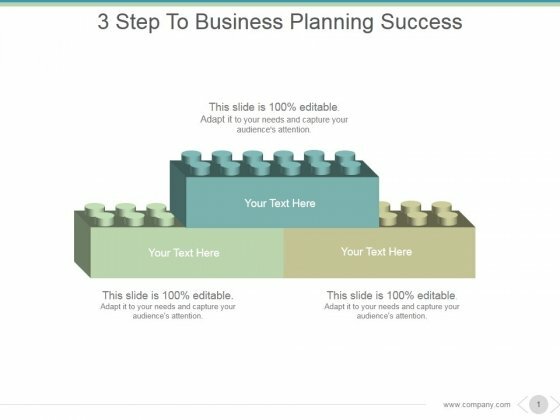 This is a 3 step to business planning success ppt powerpoint presentation infographics. This is a three stage process. The stages in this process are business, marketing, strategy, management, lego. Emit energy with our 3 Step To Business Planning Success Ppt PowerPoint Presentation Infographics. Bowl them over with your enthusiasm. 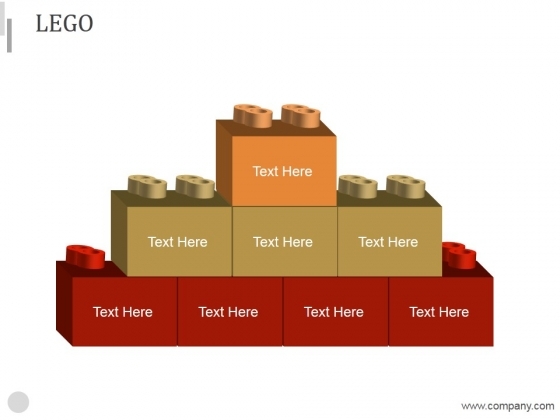 This is a lego building blocks for teamwork ppt powerpoint presentation example 2015. This is a three stage process. The stages in this process are lego, play, children, game, build. 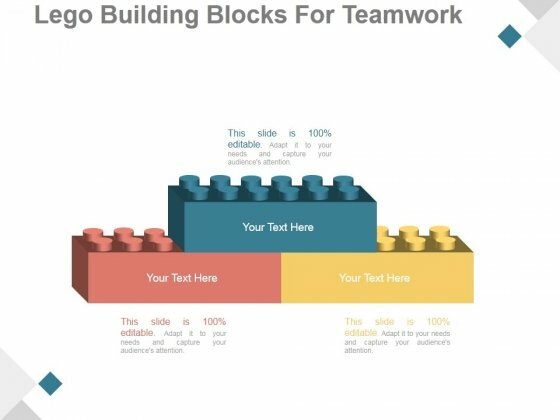 Correct your organization's path with our Lego Building Blocks For Teamwork Ppt PowerPoint Presentation Example 2015. You will come out on top. This is a lego blocks business structure ppt powerpoint presentation good. This is a three stage process. The stages in this process are lego, marketing, strategy, game, management, business. Our Lego Blocks Business Structure Ppt PowerPoint Presentation Good cover a broad ambit. They help you articulate on an array of aspects. 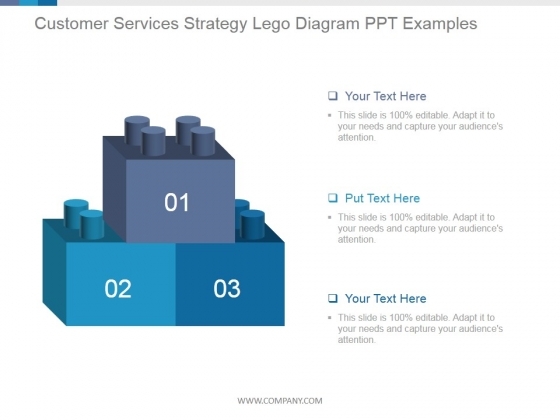 This is a customer services strategy lego diagram ppt powerpoint presentation example 2015. This is a three stage process. The stages in this process are lego, business, marketing, strategy, management. Cultivate the audience with our Customer Services Strategy Lego Diagram Ppt PowerPoint Presentation Example 2015. The bond between you will grow. This is a lego diagram for improving work life balance powerpoint slide presentation guidelines. This is a three stage process. The stages in this process are lego, game, play, children, enjoy. 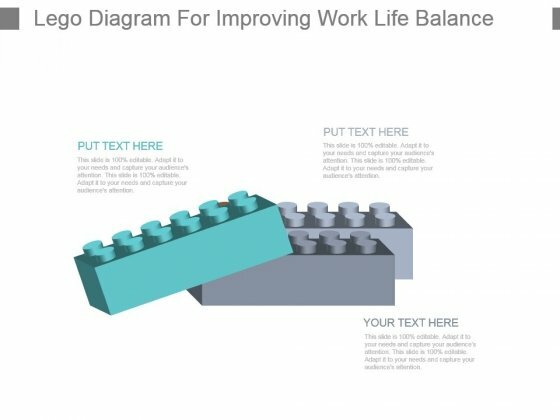 Empower yourself with our Lego Diagram For Improving Work Life Balance Powerpoint Slide Presentation Guidelines. Put extra force behind your thoughts. Download this exclusive business diagram to present progress steps. 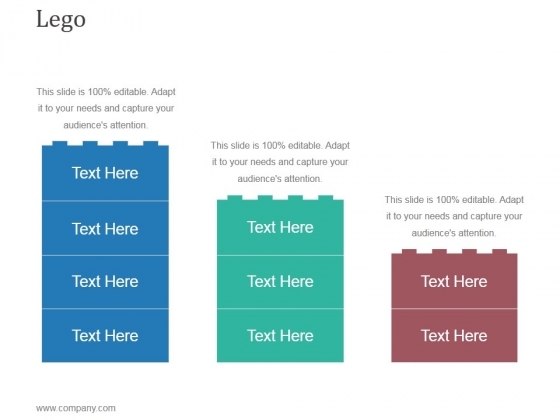 This PowerPoint template contains the Lego process diagram. This infographic design can be useful for business presentations. 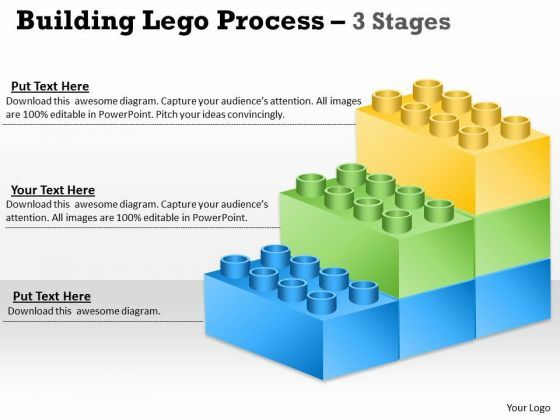 With our Three Steps Lego Process Diagram Powerpoint Slides there is no need to exaggerate. They are always brief and accurate. Analyze Ailments On Our Business Cycle Diagram Building Blocks 3 stages Business Finance Strategy Development Powerpoint Templates. Bring Out The Thinking Doctor In You. Dock Your Thoughts With Our Business Cycle Diagram Building Blocks 3 stages Business Finance Strategy Development Powerpoint Templates. They Will Launch Them Into Orbit. Open Up Doors That Lead To Success. 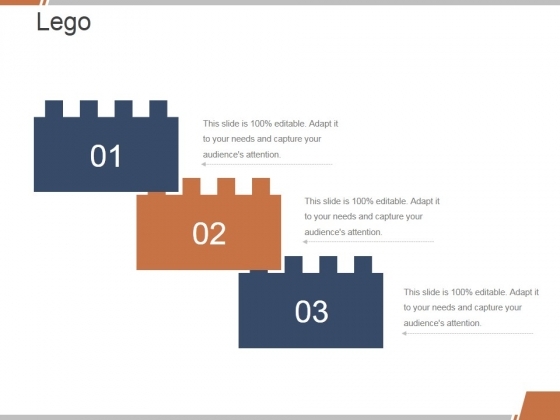 OurStrategy Diagram Lego Blocks Diagram 3 Stages Strategic Management Powerpoint Templates Provide The Handles. Opportunity Will Come Knocking At Your Door. Welcome It With Our Strategy Diagram Lego Blocks Diagram 3 Stages Strategic Management Powerpoint Templates.